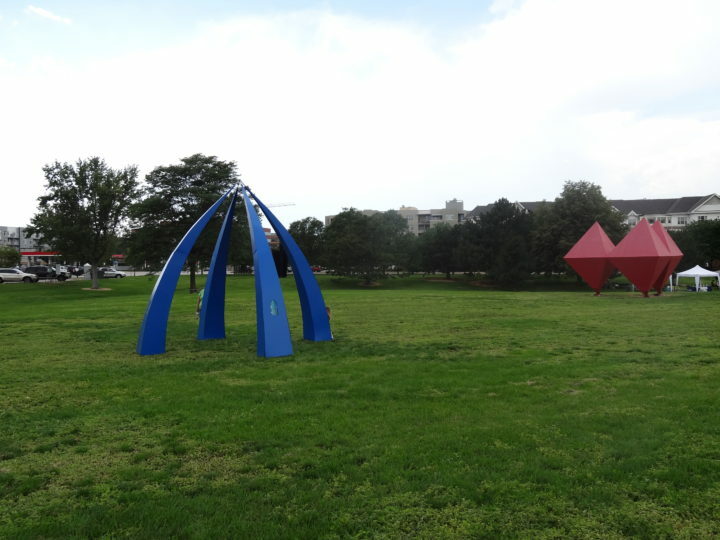 Cathedral was built in honor of Martin Luther King Jr. who was assassinated in 1968. 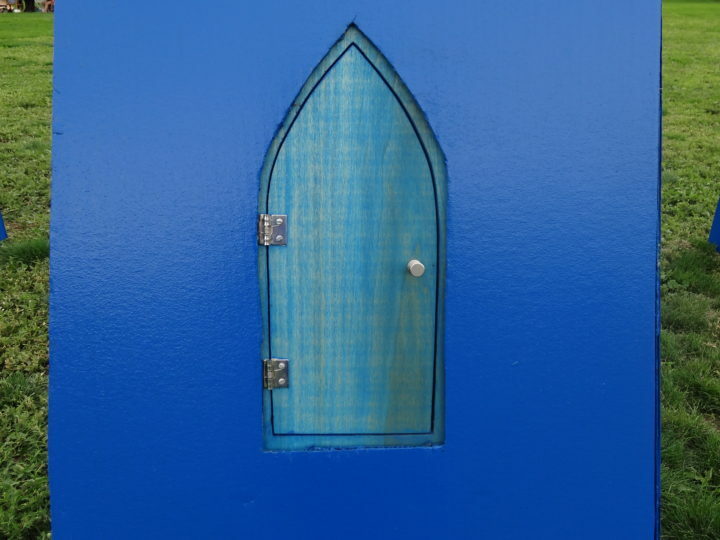 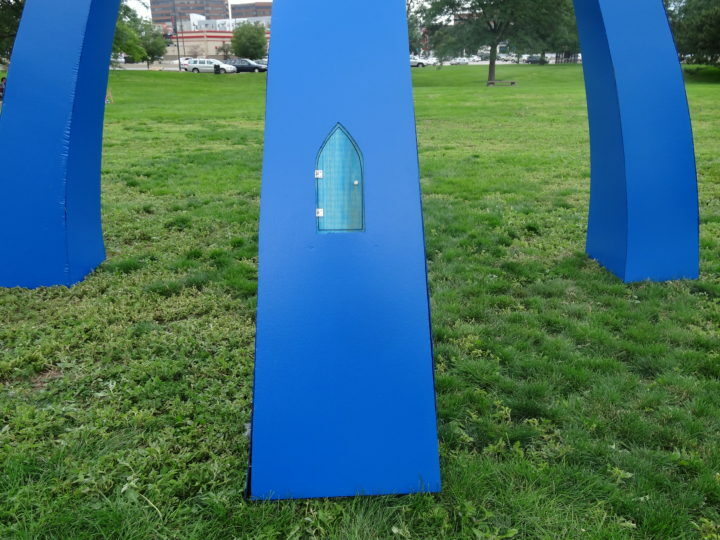 Each arm of the sculpture houses a small door, inviting visitors to interact. 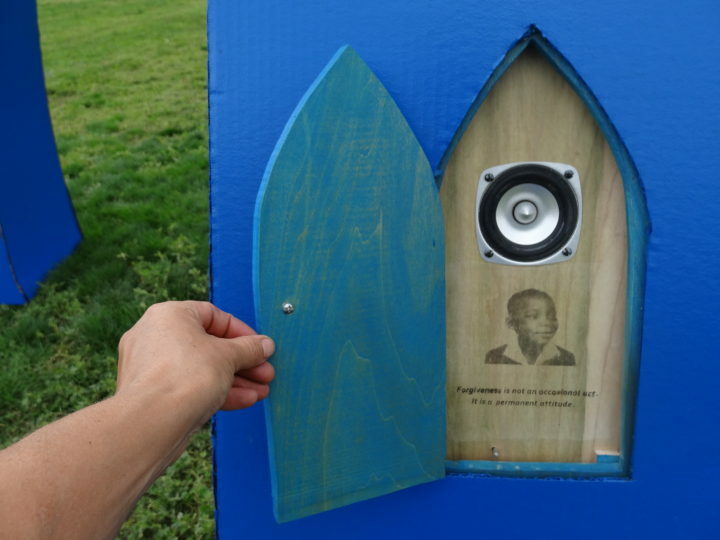 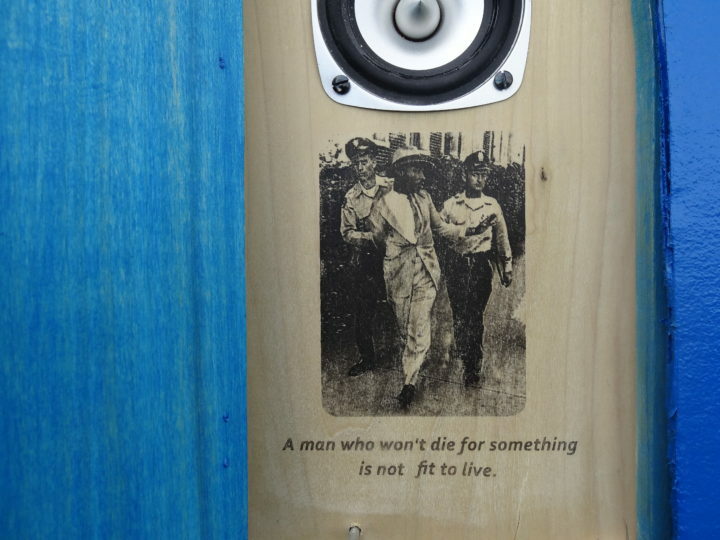 When the door is opened, MLK’s I have a Dream… speech echoes into the park. 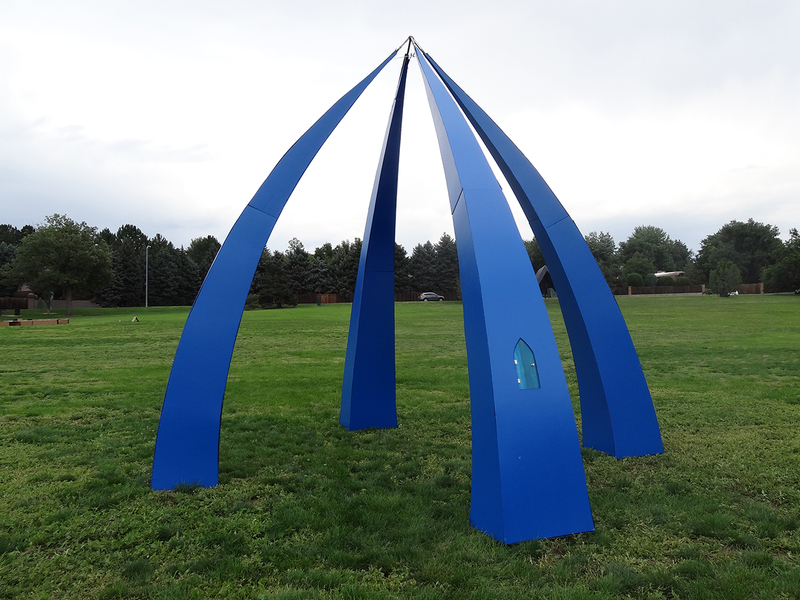 The project materialized as the an anniversary celebration of Burns Park located at Alameda and Colorado Blvd. 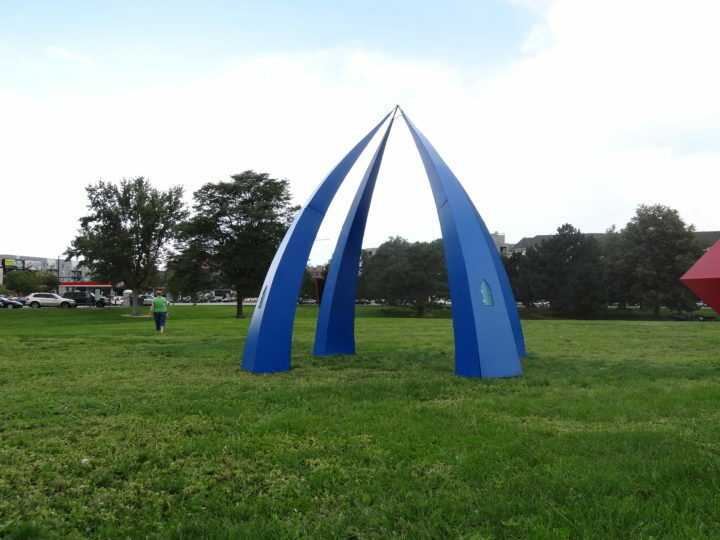 At that park’s opening in 1968, 15 artists from New York City were invited to create temporary hard edge sculptures that would be featured in the park open for the public to interact. 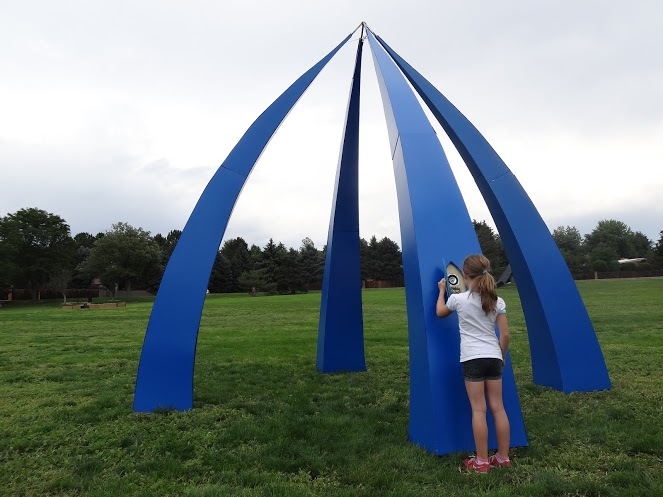 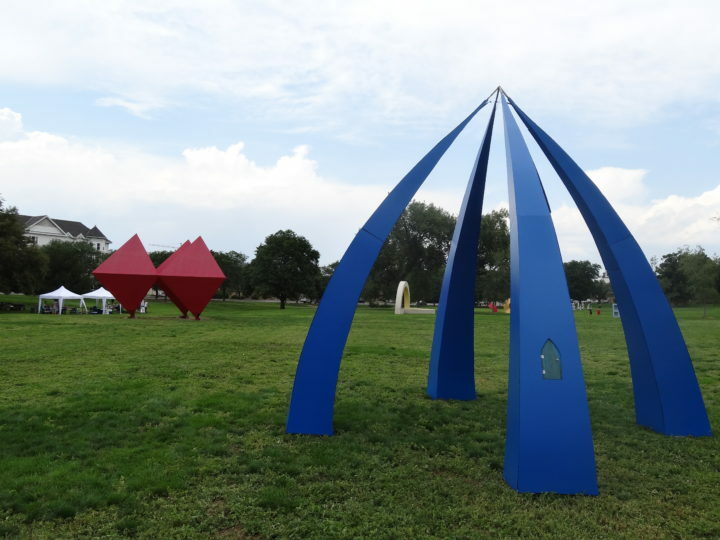 In the event, Experience 1968, hosted by a Denver Arts and Venues, five local artists were invited to create works that paid tribute to the original spirit and artists who created original works half a century ago.